C.1904, Ansonia Clock Co., "Goblin" 30-hour Royal Bonn porcelain timepiece in very good original condition. 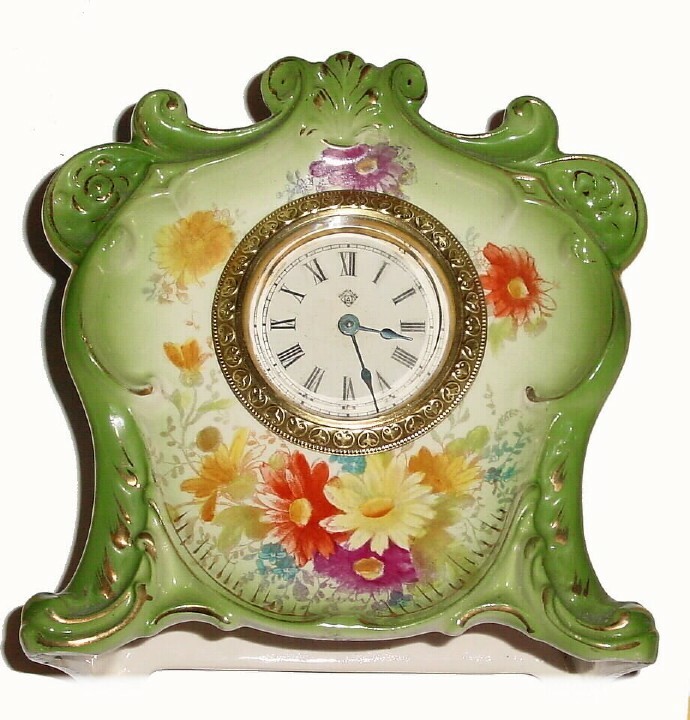 A very pretty timepiece with shades of green offset with yellow and purple flowers. There is some loss of the gold highlights from normal use. The case is very clean with no cracks nor damage. The original dial is also very clean with original hands, however the dial pan is loose in the bezel. Good Royal Bonn trademark. Note set stem is absent. Height 6 1/4"